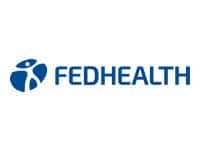 Fedhealth is a leading open medical aid scheme that has provided South Africa with their unique perspective on what healthcare is all about. For the past 75 years Fedhealth has stood fast by their principles of providing nothing but the best possible healthcare at premiums designed to suit every pocket. They are a healthcare scheme that is managed by members. The board of trustees are elected by members of the scheme and are in fact themselves members of the scheme so members can be rest assured that there interests will be held close at heart. As a healthcare service provider the scheme boasts an incredibly high claims payout status. For the past seven years they have received an AA- credit rating from Global Credit Rating. With an impressive reserve fund of over one billion rand it is safe to say that Fedhealth is financially stable. At Fedhealth they don’t just talk they do. As a healthcare service provider they are dedicated to their goal of providing healthcare options that offer better benefits per Rand. By providing members with excellent benefits and services the scheme strives to be a medical aid scheme that stands out in the crowd. They were founded on the principles of honesty, compassion, reliability, quality and the drive to succeed. It is these values that have taken them to top as the third most successful medical aid in the country. It is the generous benefits provided by Fedhealth that make them the obvious choice. Regardless of scheme option members always receive the best value for money.